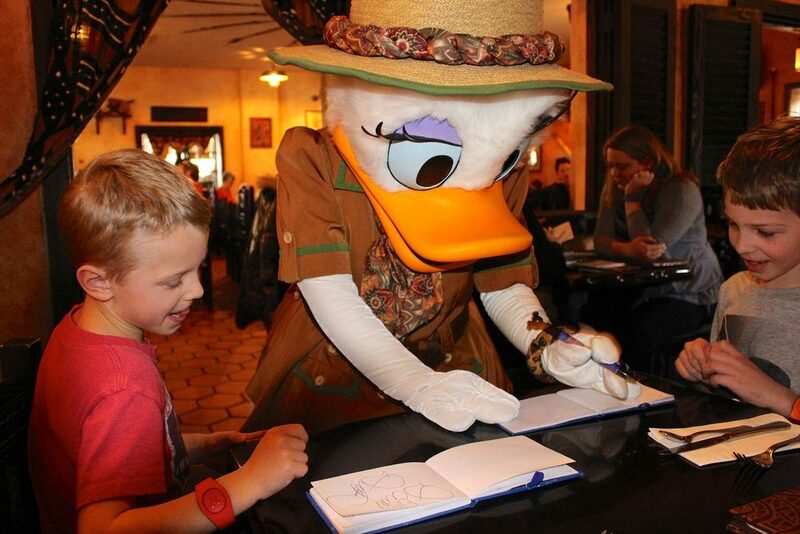 Character dining is an expensive add-on to your Disney trip. Is it right for you? 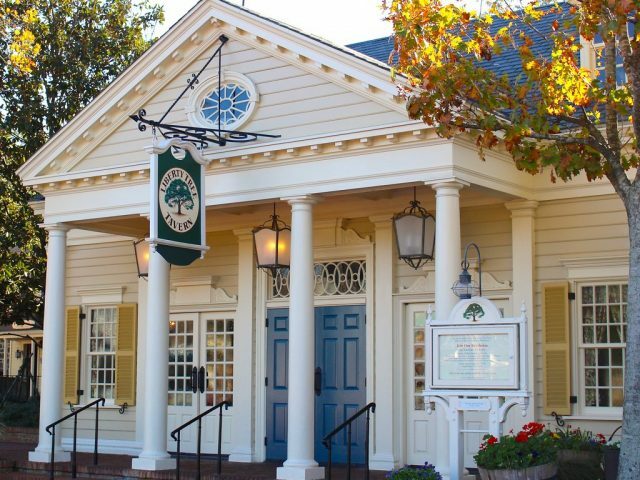 What IS character dining? 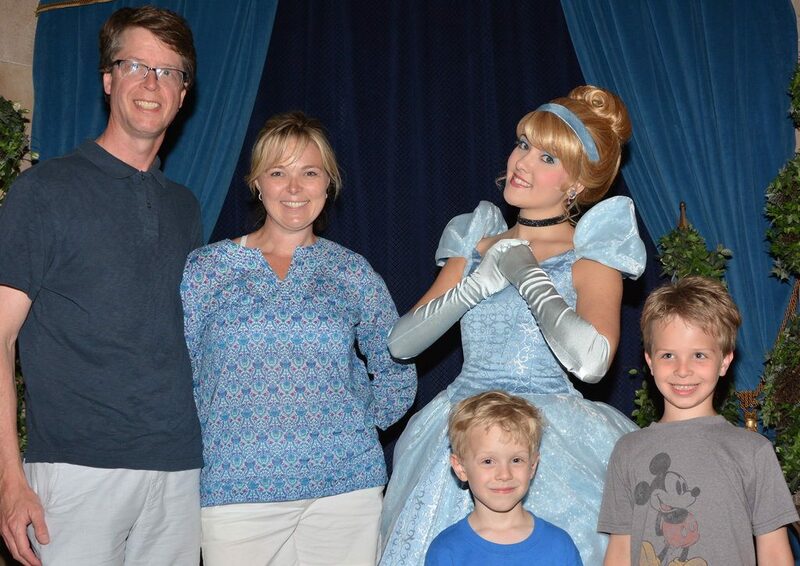 Basically, it’s a special class of restaurant reservations that guarantees face time with Disney characters. 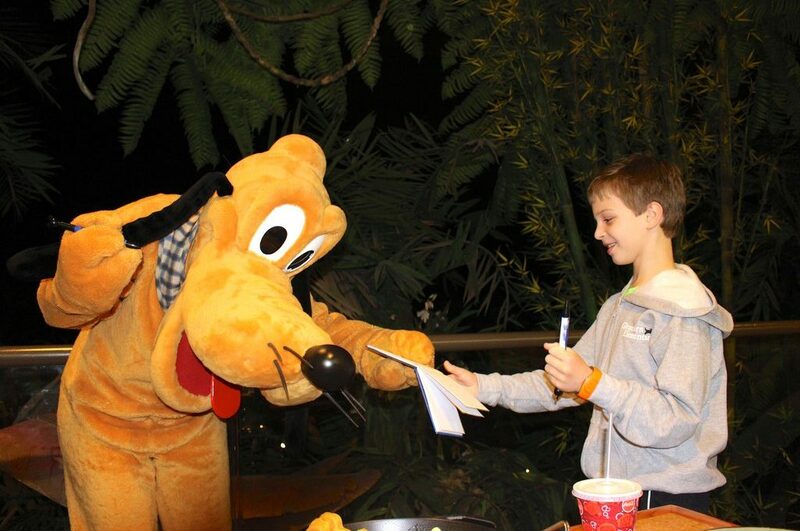 If you’re willing to foot the bill, a character meal provides you with convenient table-side visits from three to five Disney characters where you can chat, take photos, hug it out, and get autographs. 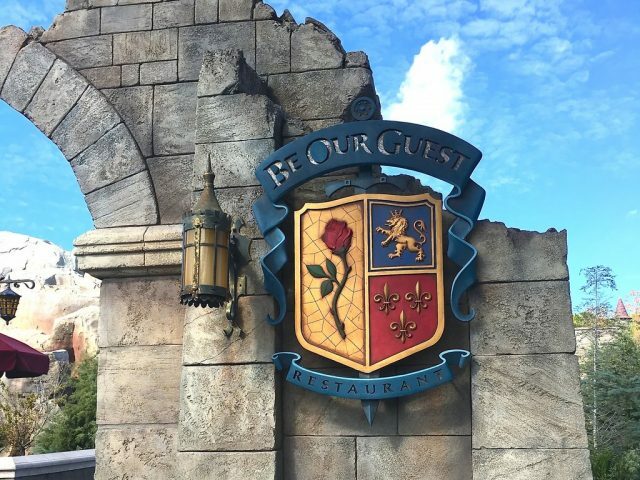 Character dining is wildly popular, but here are a few guidelines to help you decide if the experience is worth it to you. Getting a hug, an autograph, and that iconic photo are all part of the deal. (Photos of my kids with Mickey and Minnie are my most treasured souvenirs.) Yes, there are opportunities to meet characters for free, however, character dining brings the characters to you and eliminates the need to stand in line or use a precious FastPASS. If eating in a sit-down restaurant and meeting Mickey are two things you want to do on a park day, character dining lets you kill two birds with one stone. Character dining can be a great break on a busy park day, especially for parents of young kids. These are sit-down meals, in air-conditioning. Usually the food is served buffet or family-style, so there’s no waiting around to eat. The character entertainment keeps the average kid pretty content for about an hour, which gives grownups time to relax, check or recharge phones, and have a conversation. Many character meals are all-you-can eat breakfasts, and it’s pretty common to feel full until 4 or 5 p.m. So instead of feeling bad for paying a lot for breakfast, feel good that you saved money by skipping lunch. 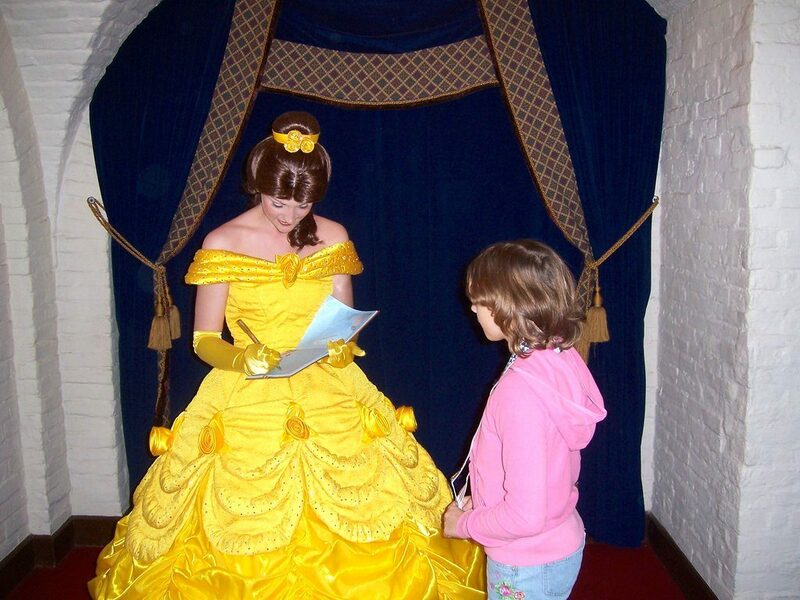 If you want to make sure that you or your child gets to meet the Fab 5 or a certain princess, character meals make that possible. Many resorts offer character dining, so you don’t need to buy a park ticket to enjoy them. 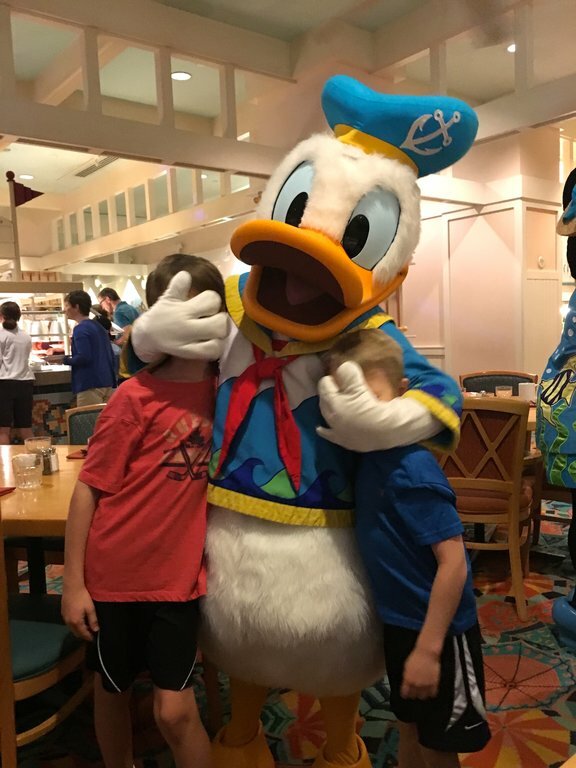 If you’re a person who likes to spend a day or two of vacation NOT going to a park, then character dining gives you a Disney fix without having to plan a whole park day. Lots of kids (and some adults) are really scared of characters. Remember they are 6 or 7-foot versions of the tiny television cartoons. Don’t book a character meal unless you are confident your kiddo can handle the experience. Does your child scream at the sight of a mall Santa, Chuck E Cheese, or your alma mater’s mascot? If you said yes to any of these, skip character dining. If you want to eat in peace, then don’t book a character meal. There are much better venues in all the parks and resorts to find great food for less money. Character dining is not as dragged out as a five-course meal, but it’s not quick service. You need to give yourself 45 minutes to an hour. Price points vary between $35 and over $60 per person. Dinner at Cinderella’s Royal Table is both the most popular and the most expensive character dining experience, costing a whopping $80 per adult and $47 per child age 3-9 at peak season. All pricing is done on a per person basis, so you don’t have the opportunity to just order the cheapest item on the menu. Character dining is a splurge. No doubt. It’s helpful to price out what you might pay for lunch at a nearby restaurant. You may discover that the cost of character dining is only $10 per person more. In that case, you may want to give it a try. As far as venues go, the team agrees that if you’re going to do it only once, Cinderella’s Royal Table or Chef Mickey’s are the character meals to choose. Tusker House gets an honorable mention for its adventurous menu. Below is our list of Disney’s current character dining choices. We’ve listed the characters that usually appear in these locations, but be aware, that these listings can change at any time. Our first character breakfast was in 2006 at Akershus. Goofing around with Donald at the Cape May Cafe breakfast. 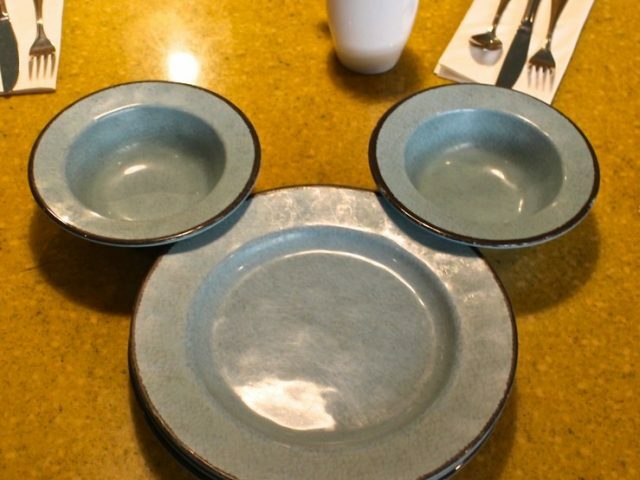 A really good option for those who can’t get a Chef Mickey reservation. The meet and greet with Cinderella takes place inside the castle but before you travel up the sprial staircase to the royal dining room. The characters wear safari gear at Tusker House. Character dining reservations can be made 180 days before your vacation at the Disney dining reservation website or by calling 1-407-939-5277. 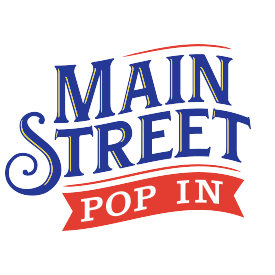 Click Here To Subscribe To The Main Street Pop In Newsletter. It’s FREE!